It doesn’t get a great deal more passionate than that. 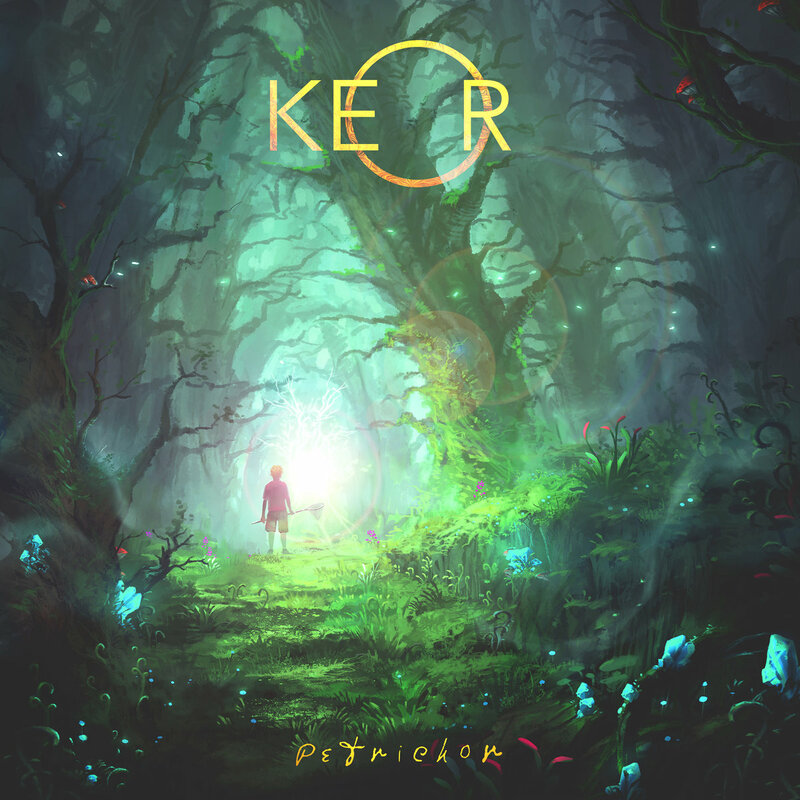 And if you haven’t already heard Petrichor by Keor, brace yourself for an incredible, full-bodied treat. Under Keor‘s guise, French musician Victor Miranda-Martin creates a supercharged homage to all things prog, old and new. Every progression in his music has substance, and every riff and melody packs a punch. Victor has steadily perfected this mantra since Keor‘s incredible 2016 debut album, Hive Mind. He was also kind enough to give Everything Is Noise an insight into his musical processes and inspirations, starting with the story behind his staggering latest release. ‘I started working on Petrichor early 2018 in January. At that time I was going through tough times, on a personal level, from which resulted a massive creative block. To be clear, I had been working on a second opus for Keor since late 2016 and had gotten pretty far in the process. The album was to be called Softer Tides. Unfortunately, it got to a point where it wasn’t going anywhere, and (after nearly two years) I was getting sick from my inability to finish it. For a three-month craft, there is a hell of a lot to behold. The album consists of just five tracks, each one epic in its own right. Petrichor siphons through just about every emotion across the spectrum, and displays an adept range of musical intuition along a variety of instruments. No surprise then that the ground-up creation of this project was no simple feat. One of the many entrancing moments found on Petrichor comes in the form of penultimate track “Terence”, which is, in part, named after the famous American ethnobotanist Terence Mckenna. It is everything great about Keor, all boxed into one track, and one which Victor has happy to help us demystify. ‘The way I understand it, Terence is any friend. So of course, it relates to my experience, but having no real intent when I start writing the lyrics, you’re free to view it as whoever you want. As already stated, Keor serves as a homage to modern prog as well as old. But to say that Keor is just that would be a misrepresentation of the intuitive craftsmanship gone into the music, as Victor will gladly state. But with such a whimsical narrative running through Keor‘s work, one can summarize that more than just music serves as source of influence, right? As it turns out, film and video games act as two other important inspirational reservoirs. Despite that fact that Keor has only existed for a handful of years, the progress has been momentous. And it appears that, in the grand scheme of things, Victor is only just getting started… And not just with Keor. ‘I’m learning a huge deal, and I want to let that sink in before I tackle on writing a new record. So when it comes, I’ll make it as original and inspired as I can manage. It won’t be too long, though. Petrichor is currently available on Keor‘s Spotify and Bandcamp pages. For all other news and info, visit the Facebook page. Next PostA.A. Williams - "A.A. Williams"